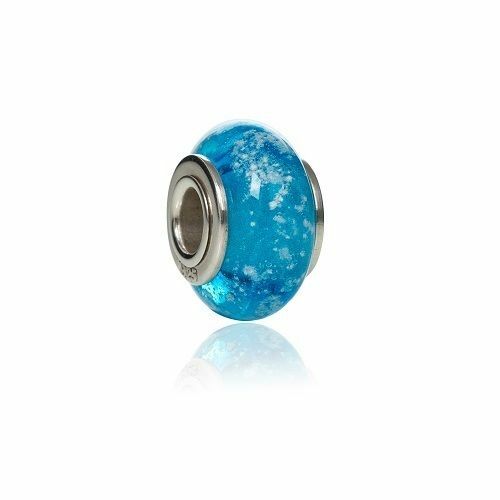 The balance of ashes within this complimenting aqua blue glass are reminisent of tropical seas. This beautiful Glass Charm with ashes adds a touch of radience to brighten up any look and is the perfect keepsake to remember someone special by. A small amount of your loved ones ashes will be respectfully captured inside the glass by skilled artists at our Berkshire Glass studio. 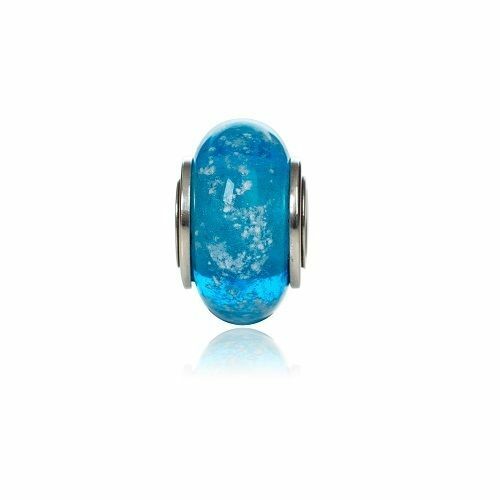 This Cremation Glass Charm fitted with a Sterling Silver core has a 4.5mm hole to fit bracelet brands like Pandora, Trollbeads, Chamilia and Biagi Bracelets. 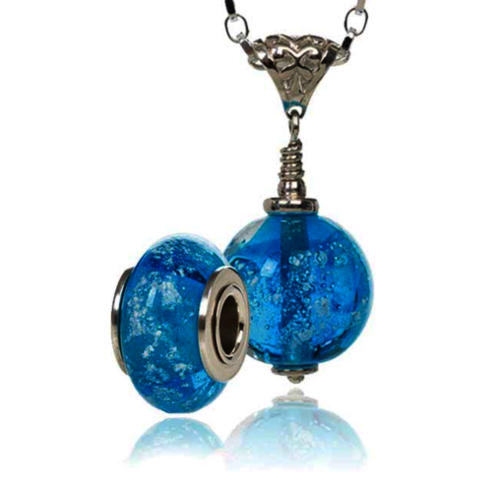 "The perfect keepsake to remember someone special"